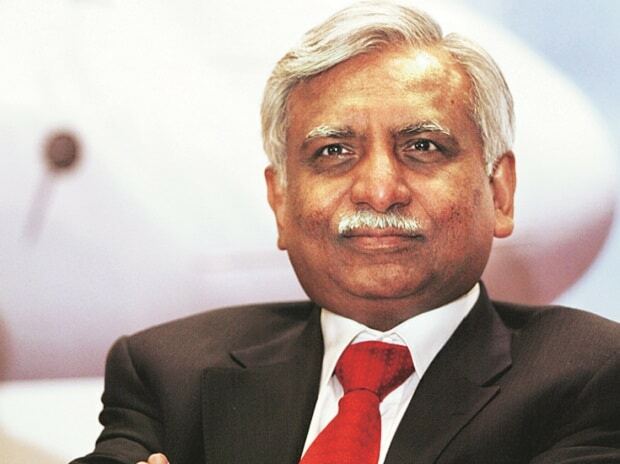 Jet Airways Ltd Chairman Naresh Goyal and his wife Anita Goyal have quit the board of the cash-strapped airline, the airline said on Monday as it closes in on a rescue deal led by state-run banks. The banks, led by State Bank of India (SBI), will convert their debt into equity and take a controlling stake in the airline for a token sum of 1 rupee ($0.0145), Jet said in a statement to the stock exchanges after a meeting of its board. The lenders will constitute an interim committee to manage the airline, reported news agency Reuters. Etihad Airways nominee Kevin Knight has quit the board too. Jet said the banks will initiate a bidding process to sell their stake in the airline to a new investor and that the process is expected to be complete by end-June. Saddled with more than $1 billion of debt, Jet is struggling to stay afloat. It has delayed payments to banks, suppliers, pilots and lessors - some of which have forced the airline to ground as many as 40 planes. Jet has survived a near-death experience once before; in 2013, Abu Dhabi's Etihad Airways injected $600 million of capital for a 24 percent stake in the airline, three London Heathrow slots and a majority share in Jet's frequent flyer programme. The infusion helped Jet pare down debt and fight growing domestic competition, reported Reuters. The government has asked state-run banks, led by SBI, to rescue Jet without pushing it into bankruptcy, seeking to avert thousands of job losses weeks before a general election. The reports of Goyal's departure led to a rally in Jet's shares of more than 12 percent.